When you go to work, you expect to have a safe and healthy working environment. However, this is not always the case for countless workers around the country who have experienced a workplace accident. We’ve taken a look at the figures of workplace injuries and illnesses to better understand the ever-existing problem of a lack of proper health and safety practices at work. These figures show us that in 2016/17, there were 1.3 million workers with work-related illnesses. These illnesses may be avoidable in cases where health and safety regulations have not been followed carefully. More worryingly, in the same time period, 137 fatal injuries occurred at work. Detailed in our infographic is the geographical information regarding these injuries and illnesses, showing which parts of the country suffered the greatest number of injuries, illnesses and fatalities. For example, in 2016/17, Scotland suffered 19 workplace fatalities, with the majority of the total number happening within the construction industry. While the North West saw the highest number of non-fatal injuries across the country, the South East saw the highest number of ill health incidences. These numbers show us that there is still an awful lot of work to be done within these industries in order to protect workers from dangers and unhealthy environments. This infographic was researched and created by Boss Training, leading providers of IPAF training courses. 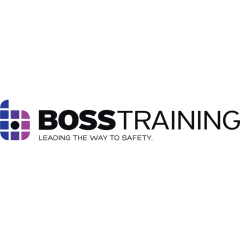 To view the Boss Training Infograph, please click here.